As mandatory military service in the IDF winds down, many soldiers worry about readjusting to a non-military life in which, for perhaps the first time, young men and women must stand on their own feet. Israeli charity organization Karmey Chesed has begun a new program to help veteran soldiers, newly released from their time in the Israeli Defense Forces, gather the essentials they need to make the transition to civilian life. Often, discharged soldiers choose to go on an extended trip abroad to clear their minds before heading back to Israel to reinitiate themselves into Israeli civilian life. But that beginning can be fraught with financial hardship, especially for soldiers who lack a stable home environment or who have never provided for themselves before. Karmey Chesed's new program has begun providing basic support for these newly discharged soldiers. By supplying them with financial assistance, as well as basic furniture and electrical appliances, Karmey Chesed is giving the veterans the boost they need to begin the new post-army chapter of their lives. Aryeh Weingarten, director of Karmey Chesed, is also spearheading another project to team up with local volunteers who are helping veteran soldiers of Ethiopian descent build a better financial framework for themselves upon the culmination of their service. "We are working with a network of volunteers who have no overhead organization, no financial footprint per se, they are just a group of mothers of soldiers and former soldiers who want to help our veterans. 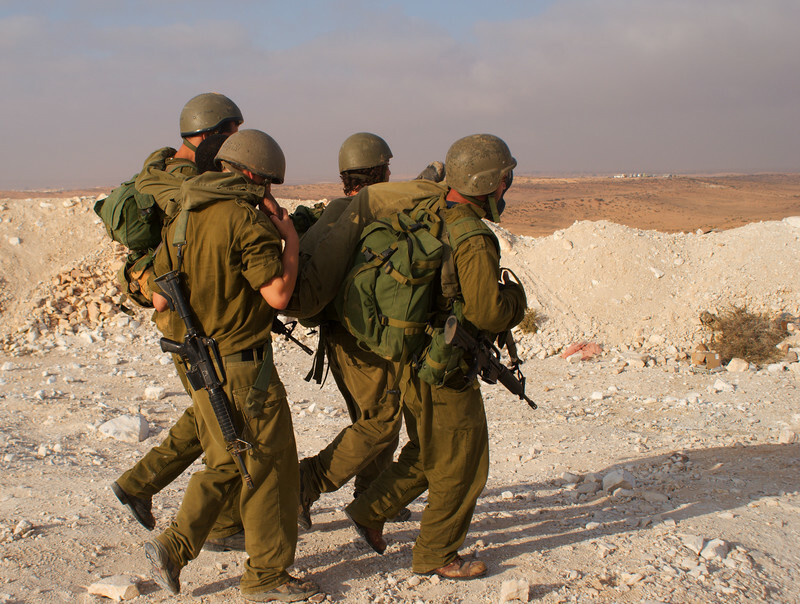 We are helping them get the support they need so that they can keep doing their important work in helping our veterans," Weingarten told Breaking Israel News. "The help is very much needed by the soldiers, specifically soldiers who are looking to get married," said Shlomo Yarimi, a volunteer who runs the veteran-support project. "There are a lot of such soldiers. We invite the soldiers to come to our warehouses, they come and choose what they need and we provide it for them. It helps us to help them. It is holy work of the highest kind." In addition to these new projects benefiting veterans, Karmey Chesed has expanded its services and pickup centers to include the Galilee and other northern areas in Israel. This is the first time that Karmey Chesed is venturing outside of the center of the country. "We are expanding northward, so that we can help more people," said Weingarten. In addition to the new veteran project, Karmey Chesed also has programs in place to help the evacuees of Gush Katif, as well as soldiers, terror victims, and other segments of Israel's poor across the center, and now north, of the country.